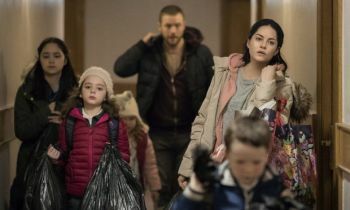 Taking place over a day and a half, ‘Rosie’ follows the titular character (Sarah Greene) desperately trying to find a home for her family while her partner, John Paul (Moe Dunford), works to keep them afloat. 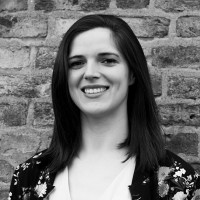 After their landlord sells their rented house and they become homeless, Rosie spends every day calling hotels from a list given to her by Dublin City Council. All she is looking for is a room, even just for the night, as the means they are forced to live by become ever more desperate. Well-written and well-acted, ‘Rosie’ is reflective of how our film industry is truly flourishing. Behind the scenes you have the crème de la crème of Irish movies including director Paddy Breathnach (‘I Went Down’, ‘Man About Dog’, ‘Viva’), writer Roddy Doyle (‘the Commitments’, ‘The Snapper’), production designer Mark Kelly (‘Dublin Oldschool’), editor Úna Ní Dhonghaíle (‘Ripper Street’, ‘The Crown’) and some stunning cinematography from DOP Cathal Watters (‘Peaky Blinders’),accompanied by a beautiful, tragic soundtrack from Stephen Rennicks (‘Room’, ‘Frank’). In front of the camera are a group of very sweet, very talented young cast members whose names – Ellie O’Halloran, Ruby Dunne, Molly McCann and Darragh McKenzie – will no doubt grace the scene again. They are led by the accomplished Sarah Greene and Moe Dunford with Greene in particular giving a wonderful performance. Defying prejudices that viewers may carry about homelessness, ‘Rosie’ poses questions that seem to have no hopeful resolution in sight – how can a family be put in these circumstances, and how do they escape them? The cycle that Rosie finds her family in is vicious. Because she is looking for a place that they can stay in that night, making calls ceaselessly in between dropping the children to school and collecting them again, she has no time to look for a permanent home for them. Time is also scant for John Paul who is the only working parent. Meanwhile, the children are losing their innocence and childhood years to staying in hotel rooms, all the while their parents are stressed out and struggling in all their time together. There is an especially heart-breaking scene involving a trampoline. This is a valuable – nay, an indispensable – film about contemporary Ireland that demands to be seen by all.